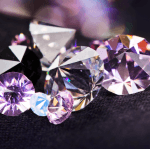 Diamond trading is more than just understanding color, cut and clarity. It is a science and a fast-changing business. The in-house professionals at Dillon Gage are highly skilled, knowledgeable and have years of experience on which you can rely. It’s important to deal with a firm that makes a strong two-way market in diamonds. Why? Because when dealing with a company with an established two-way market, they often pay higher prices because they have willing buyers awaiting inventory. Everyone wins in this example. At Dillon Gage we strive to be the ONE stop to take care of all of our customers’ needs. Our Diamond Trading and Watch divisions are a fine example of this. These two divisions work hand in hand with our Refining division to take care of all of our customers needs. We deal with the small independent operators and the large multi-store chains.